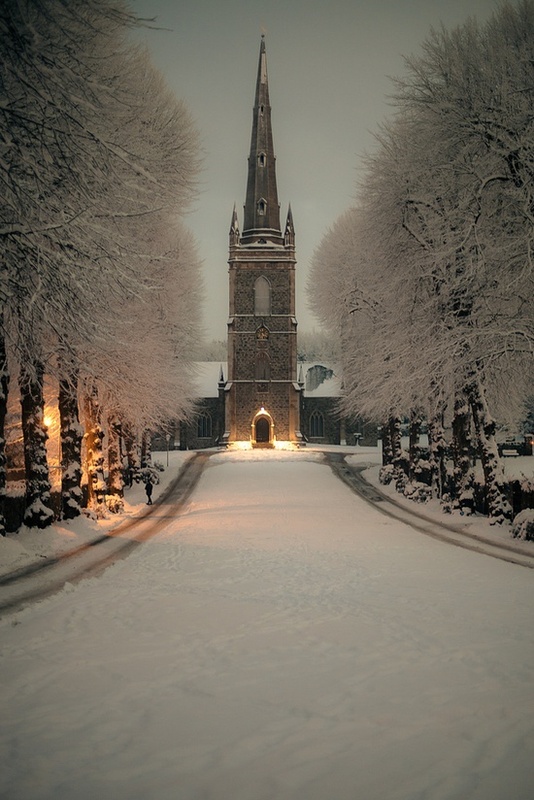 Hillsborough is a village, townland and civil parish in County Down, Northern Ireland, situated 19 km (12 mi) from the city of Belfast. It is within the Lisburn City Council area. The historic centre of the village contains significant amounts of Georgian architecture. The village was originally a compact settlement hosting a regular market. More recently land to the north of the village has been developed as housing and Hillsborough has become part of the commuter belt of Belfast. In recent years townhouses and apartments have been built closer to the centre of the village, and the former civic building of Lisburn Borough Council has been converted to residential use. That building is in twentieth century neo-Georgian style. Development to the east of the village is continuing to swell Hillsborough's population. The associated settlements of Culcavy and Aghnatrisk to the north-west are also growing. A prominent feature of the east and south approaches to Hillsborough is a 5-mile wall which encloses the "Park Dam", an artificial lake, and the forest surrounding it.